You may or may not be aware that Melbourne has a fierce rivalry with the city of Sydney. Both competed for the title of capital before, what was essential a draw was agreed on, Canberra was selected. 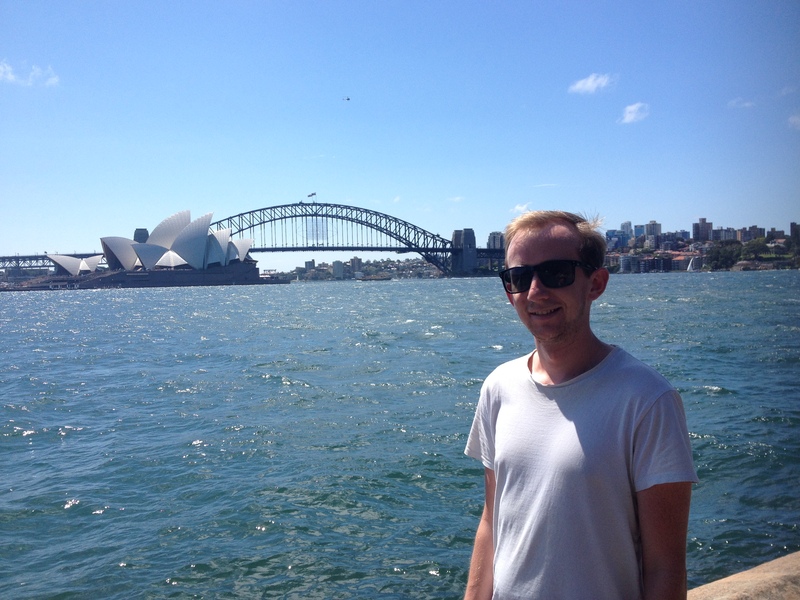 I expect that I’m biased and I approached my time in Sydney with perhaps a slightly negative attitude. People from Melbourne had told me various things, including it’s a ghost town, there’s nothing to do there, it’s difficult to get around. I suspect that this has helped me to begin to form a rather positive opinion of the city. Arriving late in the evening I wasn’t expecting much, but once I got checked in and found the room to my hostel, some few blocks away from reception, things got off to a flying start. I met my new room mates and form took control; beer? Beer! We headed down to the hostel bar for some $4 drinks. I’ve recently discovered that you can buy beer in three different sizes in Australia; the pot, the schooner, and the pint. Turns out it’s socially acceptable and actually quite enjoyable to have what I would have once referred to as a novelty sized drink. The following morning I made it out with my new friends to enjoy a free walking tour of the city and come to understand it a little better. We started out at the Town Hall and Queen Victoria building, which is home to a clock with a Tower of London-esque feature which on the hour has a chime display that includes the beheading of Charles I. Pretty cool, eh? 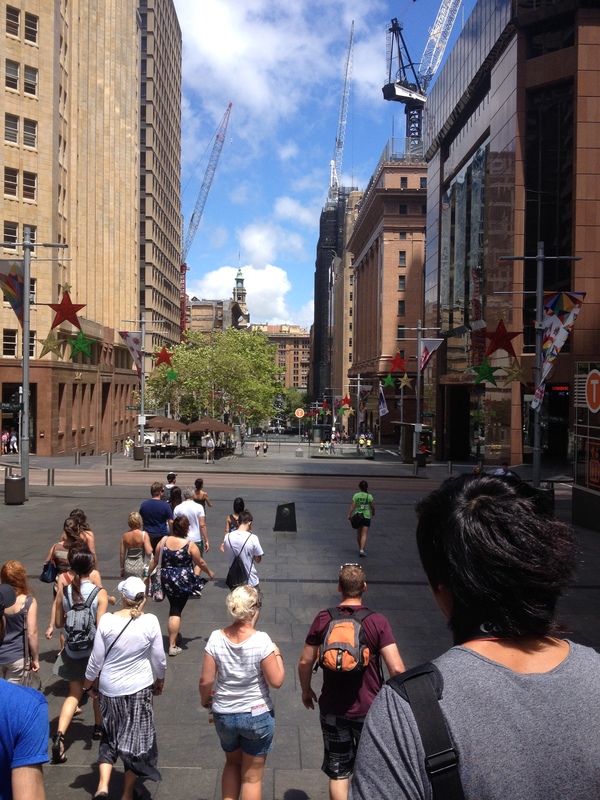 We then proceeded to Hyde Park and onto Martin Place which was used as a set for many of the city scenes in the Matrix trilogy. Sydney had started to score some points with me. Our next stop was the old customs house which has an excellent scaled model of Sydney under the floor. After a quick break we continued on to Circular Quay, which if it were not for a huge cruise ship in the harbour would have provided me with my first glimpse of the Sydney Opera House. On the other hand, it was only a matter of minutes before I laid eyes on what may be the second best bridge in the world, after the Golden Gate; Sydney Harbour Bridge. Our guided walk headed up through the suburb of the Rocks where the convict settlement that would grow into the city we know today was founded. 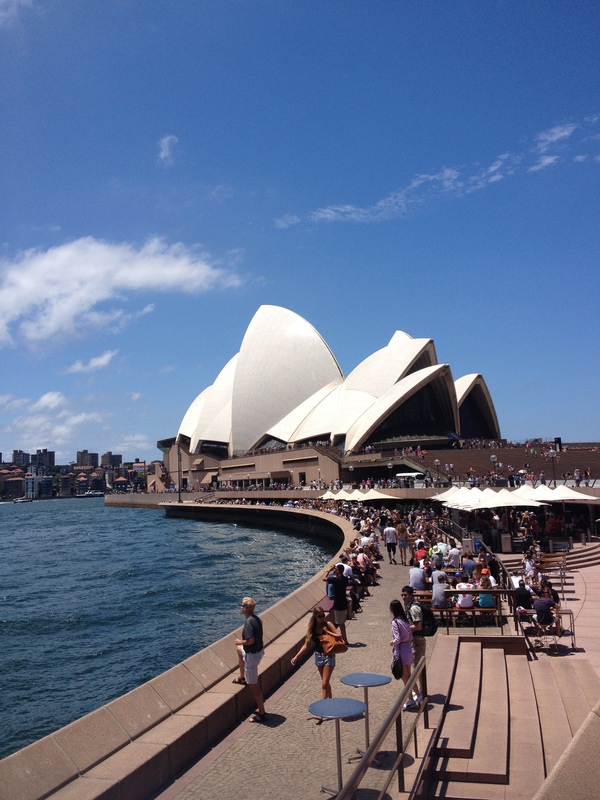 At the end of the tour we decided we must to and look at the Opera House in more detail and I soon discovered that this would likely rank as one of my top travel memories. The building itself is absolutely magnificent, to the point where I am tempted to share a photo-essay type thing with you to attempt to do it justice. Getting up close was one of those awe-inspiring and humbling moments that I rarely feel beyond the shadows of mountains. Even the toilets were majestic. Our own private tour of the city continued on to the botanical gardens, which are on equal footing to both those in Brisbane and Melbourne, the highlight from here was in fact the view back across the harbour, including the Opera House and Harbour Bridge. This is where most people will be on New Year’s Eve as they try to secure a promising spot for the fireworks. As the afternoon wore on, we split off into unintentional national factions. I went back to the Rocks with my fellow Brits, Adam and Claire, to complete a second walking tour through the suburb which would include one particularly wonderful piece of information; Sydney’s first tourist attraction was a burned, butchered body in a barrel. Throughout much of the tour we would make jokes in regards to Australia’s so far short history; some of the most important ruins are little more than 200 years old. It was still pretty interesting to learn more about the forming of Australia as a Europeanized colony and the struggles that the original settlers would have faced upon the arrival in this once strange land. After what could have easily been close to 20km of walking we decided enough was enough and that it was time to head back to the city to rest. 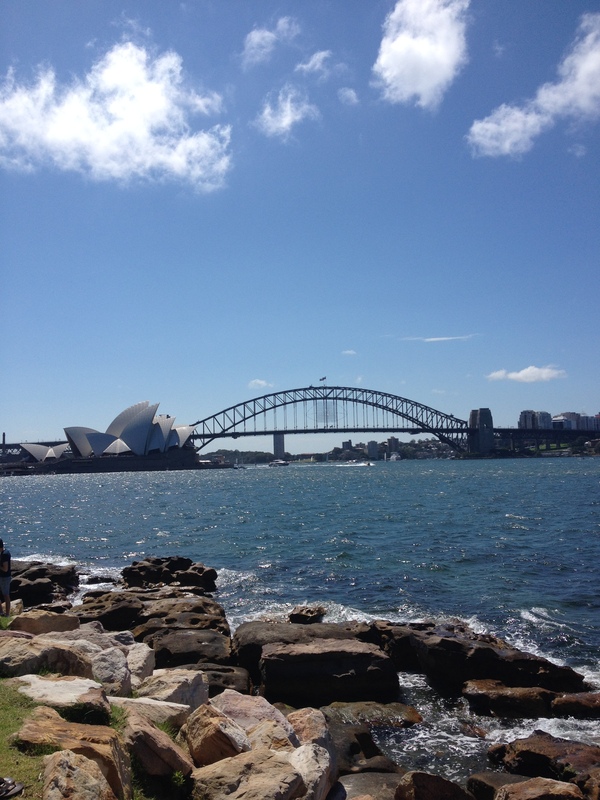 I spent the following day out at Manly, enjoying the beach and another long walk. 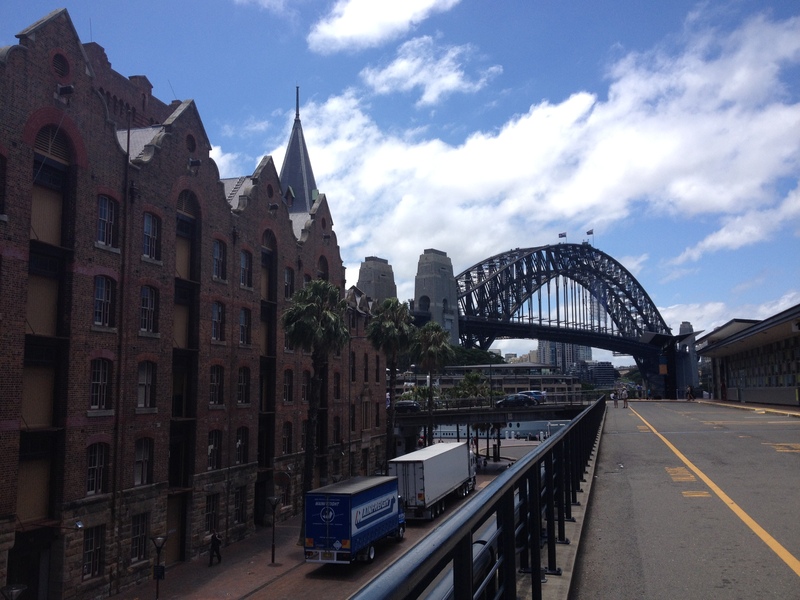 On Monday I decided I wanted to walk across the Harbour Bridge, not the bridge climb mind. $270 is not even close to a justifiable amount, although I’m sure that if it was something that I really wanted to do then I would have probably coughed up. Instead I simply followed the other pedestrians to North Sydney, stopped for some chips under the bridge before heading back to go up one of the Pylons to the lookout. At the heavenly sounding price of $13, it seemed like it would be much better value that the bridge climb and to some extent it probably was. 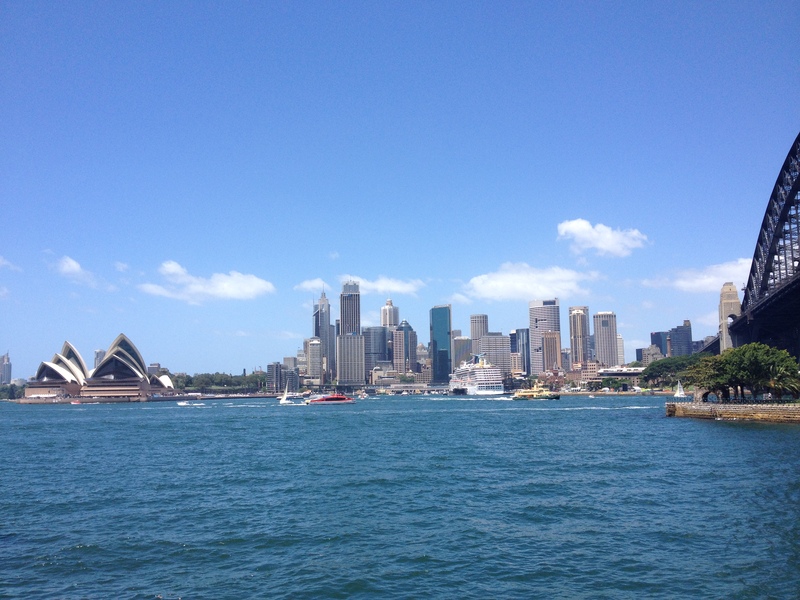 However, I personally believe that the views are better from the ferry to Manly and from the north shore of the harbour. Following the New Year celebrations on the harbour; Denis, Adam, Milla and I all headed to the nearest bar to make it feel more like a party and enjoyed several drinks and plenty of dancing before heading out into the dawn of New Year’s Day when I made the questionable decision to find somewhere to watch the sunrise. After waiting around for about half an hour in Hyde Park, we all concluded that we probably weren’t going to see much and staggered back to the hostel. 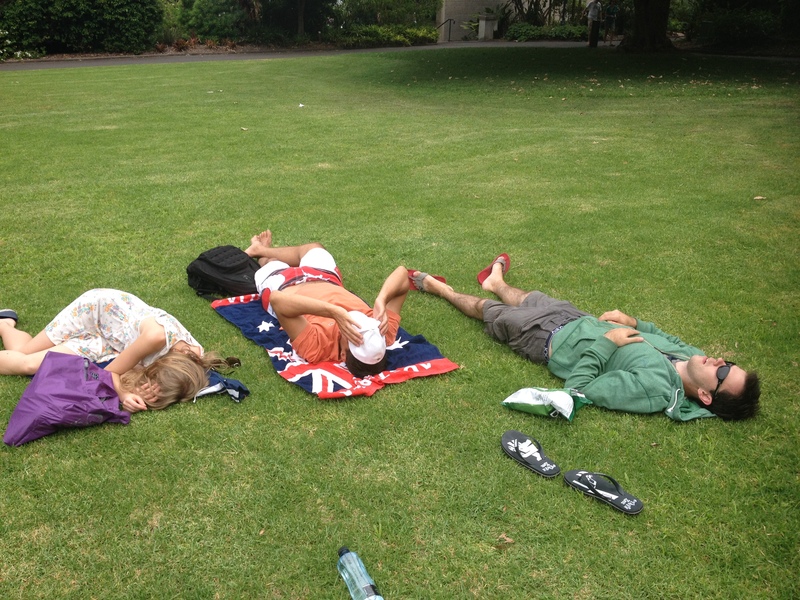 As we awoke in the afternoon, we were all feeling somewhat hungry and following a breakfast of champions; a burrito and frozen margarita, we went for a snooze in the botanical gardens. Following a rather brief time in Sydney I can see why people like it, I’ve also seen enough to come to terms with why some people prefer Melbourne. 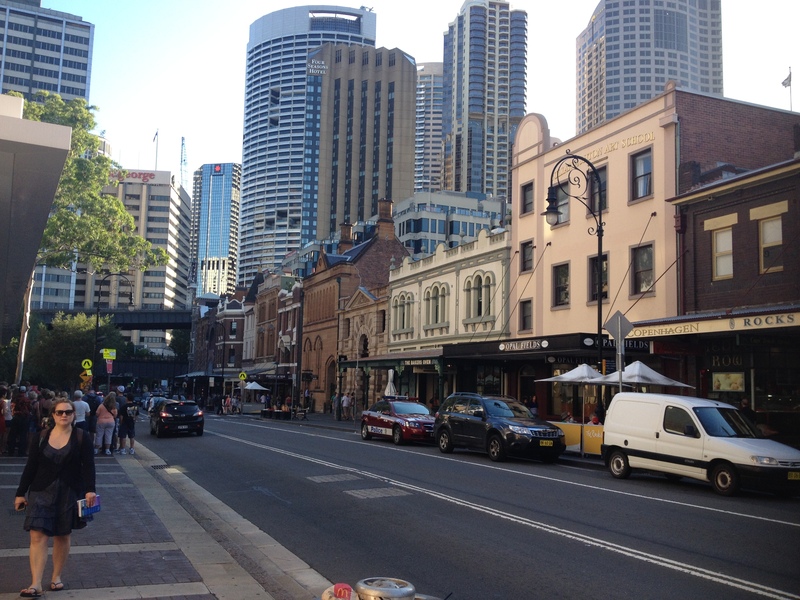 I liked Sydney, a lot, but it’s not got the same vibe as Melbourne. 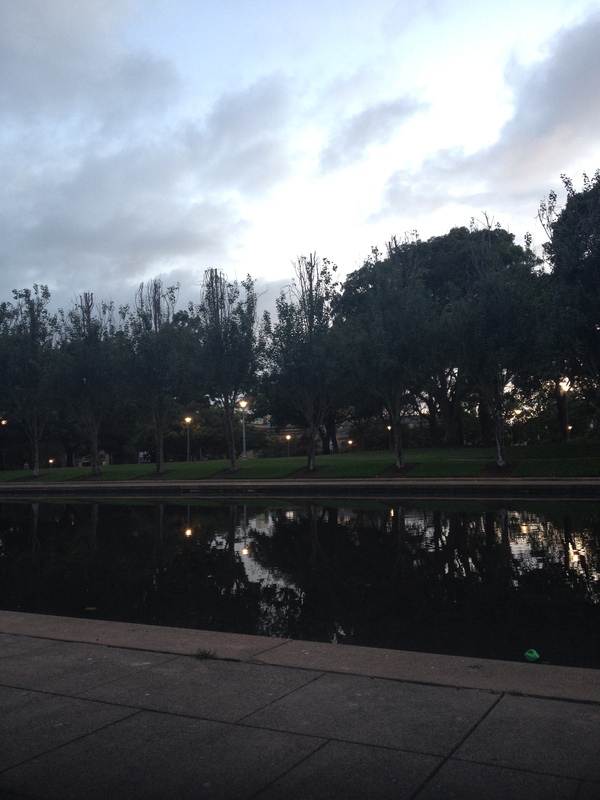 I think for me it simply comes down to the fact that Melbourne feels a little bit more like home. 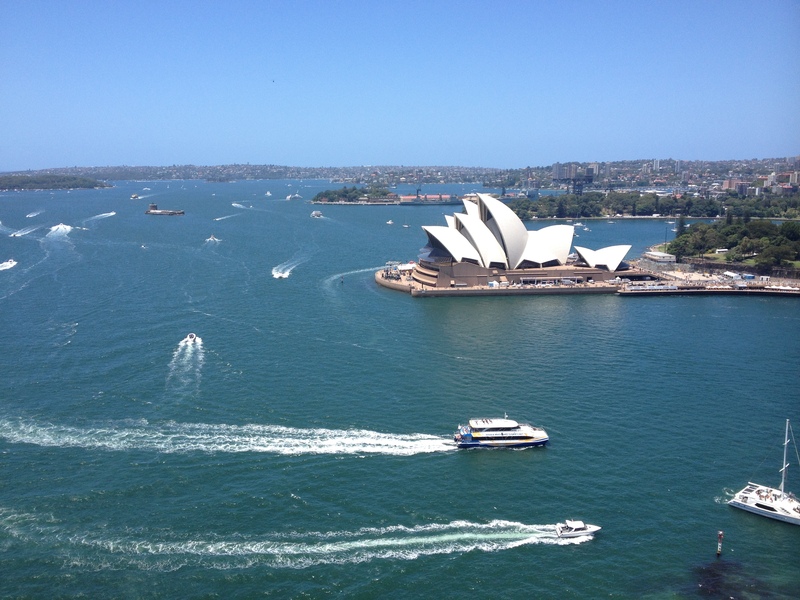 ← Sydney: Happy New Year!